Israel is a country in the Middle East, on the southeastern shore of the Mediterranean Sea and the northern shore of the Red Sea. Israel has the highest number of museums per capita in the world. The official name of the country is the State of Israel. Israel has the highest number of college degrees per capita in the world. Israel has land borders with Lebanon to the north, Syria to the northeast, Jordan on the east, the Palestinian territories of the West Bank and Gaza Strip to the east and west, respectively, and Egypt to the southwest. Israel has the highest number of start-up companies per capita in the world. Hebrew and Arabic are the official languages of Israel. The cell phone was developed in Israel, as well as the first anti-virus software. As of 1 January 2016, the population of Israel was estimated to be 8,134,749 people. Israel includes both Arabic and Hebrew as its two official languages. Israel’s area is approximately 20,770 square kilometers (8,019 square miles). The oldest continuously used cemetery in the world is located in Jerusalem - Mount of Olives. Israel stretches 424 km (263 mi) from north to south, and its width ranges from 114 km (71 mi) to, at its narrowest point, 15 km (9.3 mi). The glue used on stamps in Israel is kosher. Jerusalem, a Middle Eastern city west of the Dead Sea, has been a place of pilgrimage and worship for Jews, Christians and Muslims since the biblical era. Israelis and Palestinians both claim Jerusalem as their capital, as the State of Israel maintains its primary governmental institutions there while the State of Palestine ultimately foresees the city as its seat of power; however, neither claim is widely recognized internationally. Many bus stops in Israel have a box to make donations to charity. In 1969 Israel elected a female Prime Minister named Golda Meir. She was only the third female to be elected as a country's leader in the entire world. There are kosher McDonald's restaurants in Israel. The geography of Israel is very diverse, with desert conditions in the south, and snow-capped mountains in the north. Einstein was once offered the position of President in Israel but he declined the offer. Mount Meron is a mountain in Israel. It has special significance in Jewish religious tradition and parts of it have been declared a nature reserve. At 1,208 meters (3,963 feet) above sea level, Mount Meron is the highest peak in Israel, though many peaks in the Israeli-occupied area of the Golan Heights and Mount Hermon are higher. The bank notes in Israel have braille on them, enabling the blind to identify their money properly. Israel has a coastline length of 273 kilometers (170 miles). In total there are 137 beaches in Israel. The Jordan, the only important river, flows from the north through Lake Hule (Waters of Merom) and Lake Kinneret (also called Sea of Galilee or Sea of Tiberias), finally entering the Dead Sea. Israel has the third highest percentage of entrepreneurs of all countries in the world. The Dead Sea between Israel and Jordan is the lowest point on the Earth’s surface at 429 meters (1,407 feet) below sea level. Although its name implies otherwise, the Dead Sea isn’t actually a sea at all. It’s really a lake. The water is so salty and rich in mineral deposits that no plants and animals can survive there. Israel's Dead Sea is the lowest point on earth. It contains so much salt that it is very easy to float and almost impossible to dive in the Dead Sea. The Sea of Galilee is the largest freshwater lake in Israel. It is approximately 53 km (33 mi) in circumference, about 21 km (13 mi) long, and 13 km (8.1 mi) wide. At levels between 215 metres (705 ft) and 209 metres (686 ft) below sea level, it is the lowest freshwater lake on Earth and the second-lowest lake in the world (after the Dead Sea). Israel has established diplomatic relationships with 157 countries around the world, but generally not with Muslim countries such as Bangladesh or United Arab Emirates. Israel has 9 UNESCO world heritage sites. The Old City (Jerusalem) is home to several sites of key religious importance: the Dome of the Rock and al-Aqsa Mosque for Muslims, the Temple Mount and Western Wall for Jews and the Church of the Holy Sepulchre for Christians, It was added to the UNESCO World Heritage Site List in 1981. Israel has 100 diplomatic missions located around the world. The climate in Israel varies depending on location and season. It can range from a Mediterranean climate in some regions to windy and cold in others. The Western Wall, Wailing Wall or Kotel is considered holy due to its connection to the Temple Mount. Because of the status quo policy, the Wall is the holiest place where Jews are permitted to pray, though it is not the holiest site in the Jewish faith, which lies behind it. Since declaring its independence in 1948, Israel has been in conflict because of Jewish and Arab struggles. There have been civil wars and peace treaties, but the peace treaties do not hold for very long before violence erupts again. The Church of the Holy Sepulchre is a church within the Christian Quarter of the Old City of Jerusalem. The church contains the two holiest sites in Christianity: the site where Jesus of Nazareth was crucified, known as “Calvary” in Latin and “Golgotha” in Greek, and Jesus’s empty tomb, where he is said to have been buried and resurrected. Israel citizens are well educated and most have a degree in one field or another. 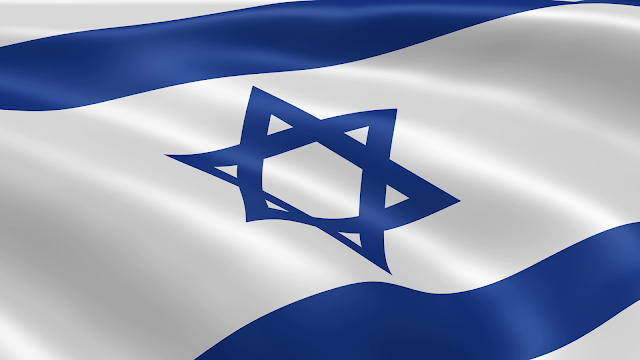 Israel declared its independence in 1948 and was recognized as an independent state in 1949. Its official name is the State of Israel. The Dome of the Rock is a shrine located on the Temple Mount in the Old City of Jerusalem. It was erected by the Muslim ruler Abd el-Malik in 688-691. The Dome of the Rock is the oldest Islamic monument that stands today and certainly one of the most beautiful. The population of Israel was estimated at 8,462,000 in 2015. Masada is an ancient fortification in the Southern District of Israel situated on top of an isolated rock plateau, akin to a mesa. It is located on the eastern edge of the Judaean Desert, overlooking the Dead Sea 20 km (12 mi) east of Arad. Masada is one of Israel’s most popular tourist attractions. It was declared a UNESCO World Heritage Site in 2001. Israel has one of the highest life expectancies for its residents out of all countries in the world. Forever linked to the Bible, Nazareth is one of the main pilgrimage destinations in the country. The holy sites here are some of the most important in the world for those of the Christian faith. This is where the Annunciation took place, and where Jesus Christ was brought up, and the center of town is home to important churches that celebrate this history. Israel has the fourth highest standard of living in all of Asia. Throughout history many powers have ruled the area, including the Egyptians, Persians, Babylonians, Greeks, Romans, and Islamic leaders. Fighting continues today in the region. Israel maintains more than 150 nature reserves that protect 2,500 species of indigenous wild plants, 20 species of fish, 400 species of birds and 70 species of mammals. Israel’s national bird is the hoopoe. Israel does not have a universally recognized national dish; however, many consider it to be falafel, deep fried balls of seasoned, ground chickpeas. Israel has the highest standard of living of all Middle Eastern countries. Israel is the only fully democratic country in the Middle East. Einstein was offered the presidency of Israel which he politely declined. At least 400 descendants of Nazis have converted to Judaism and moved to Israel, according to filmmakers who made a documentary about the phenomenon several years ago. Every year, 1,000 letters arrive in Jerusalem, Israel, addressed to God. The first anti-virus software for computers was developed in Israel in 1979. The largest dog cemetery in the ancient world was discovered in Ashkelon.